There is nothing more exciting than going somewhere new and better still to a secret location. 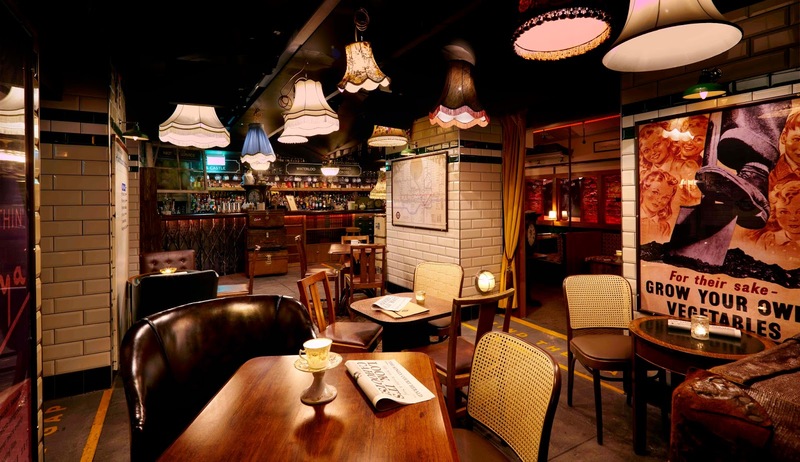 A new secret has sprung up in Soho, hidden beneath the streets is "Kingley Court", deep underground is "Cahoots" a new late night bar. Greeted by the station master we are warmly welcomed inside. Walking down the old fashioned wooden escalators I begin to feel like I am stepping back in time. 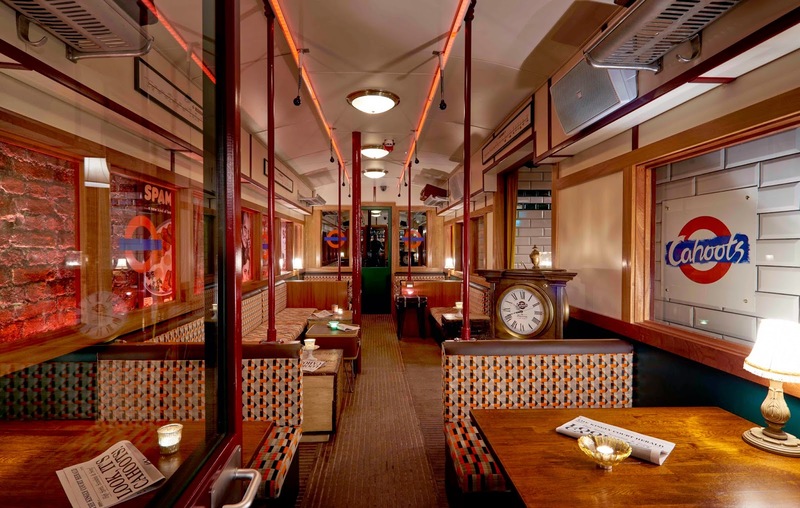 "Cahoots" is a new bar hidden in a disused tube station that has lovingly been restored back to life. They have recreated the best of the 1940's. But first things first lets grab our train tickets to start our journey into Cahoots. Once we arrive the Blitz spirit is in full swing, its thirsty work watching these guys dance. 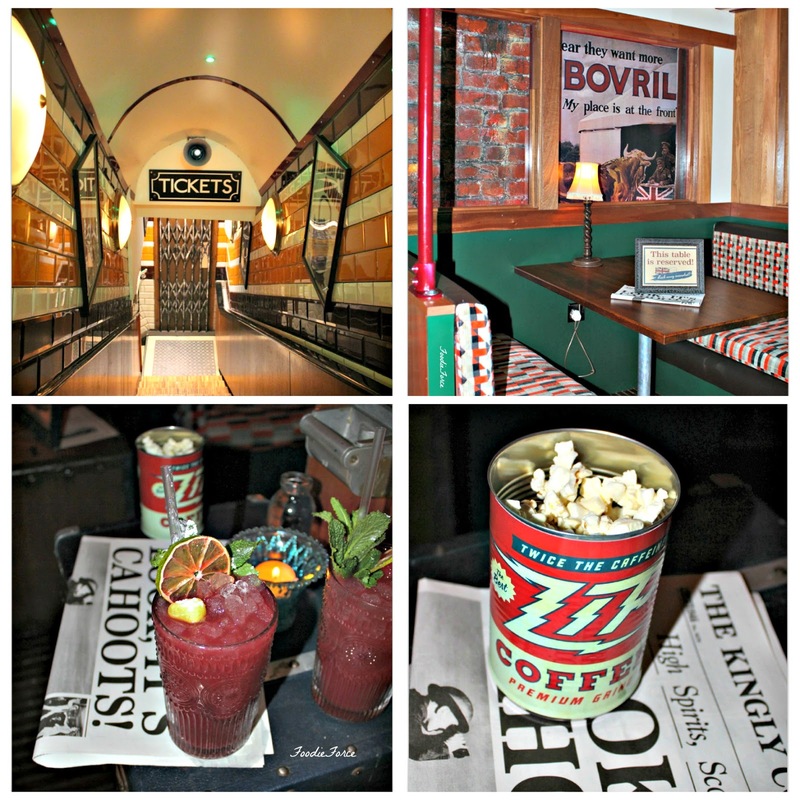 So we find ourselves a quiet booth, grab a cocktail and catch up on the daily news whilst eating popcorn. The drinks menu offers some wonderful black market cocktails. The choice is easy a 'Vera Lynn', Tanqueray London dry gin, Stone's Ginger wine, apple juice and elderflower cordial. Next up 'Apples and Pears', Russian standard original vodka, blackberries, lime juice, cloudy apple juice and ginger ale. 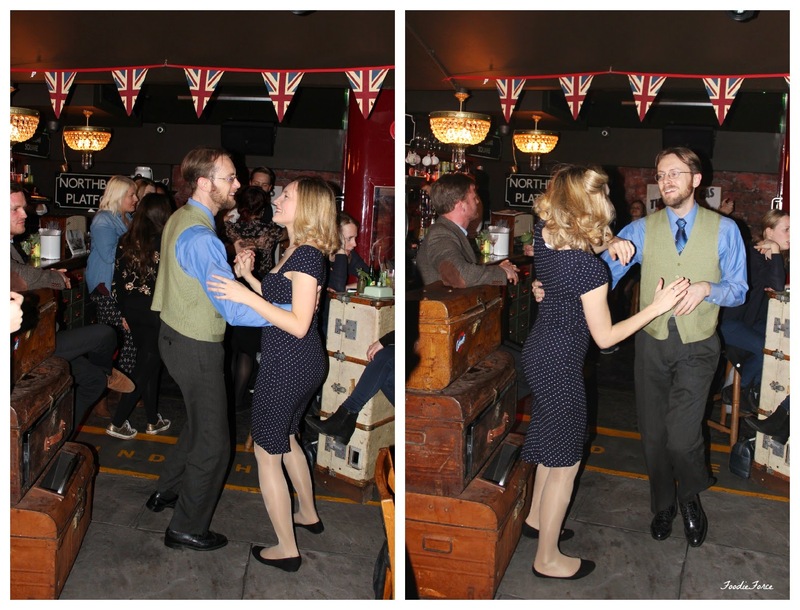 If you fancy taking a trip back in time, put your hair up in Victory rolls, don your back seam stockings and take yourself underground for a great evening of cocktails and dancing. 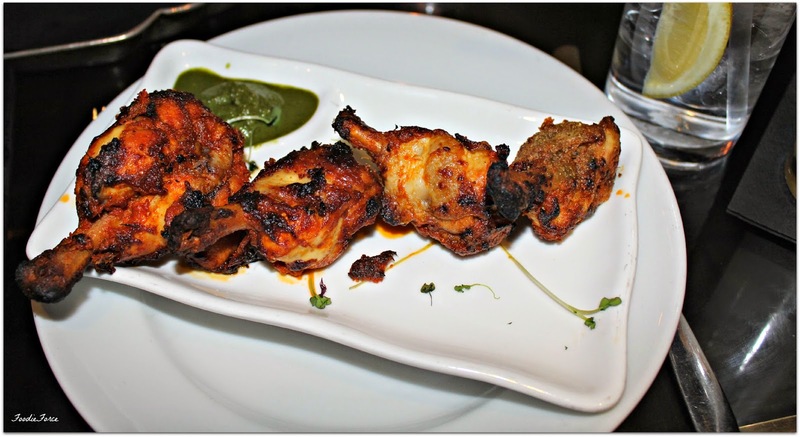 Finding an authentic Indian restaurant in London is like being faced by a mirage. From the outside they can look like the real deal, well appointed, authentic looking furnishings, traditional cooking smells wafting from the kitchen, and then the food arrives and you are totally underwhelmed. The food has little taste and someone has gone to town with the food colouring. 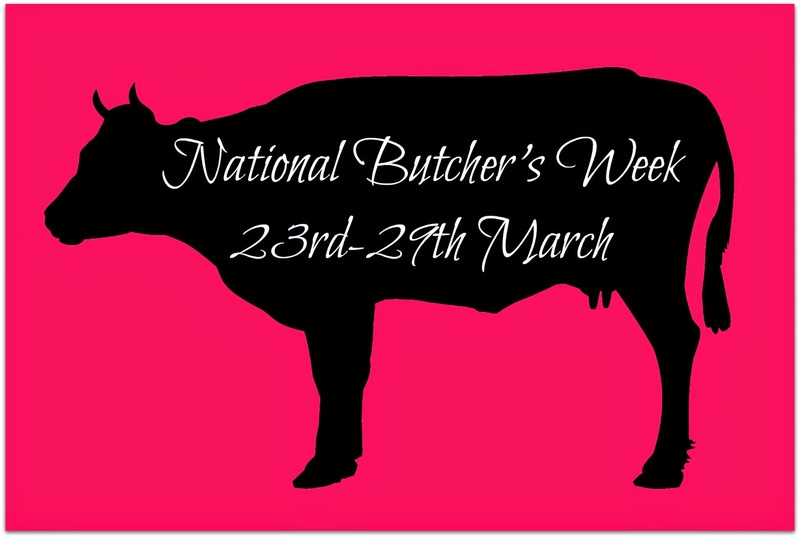 As a South London girl I have been spoilt with wonderful Indian restaurants and I now thankfully know the difference between authentic cooking and tasteless food made for a western palate. 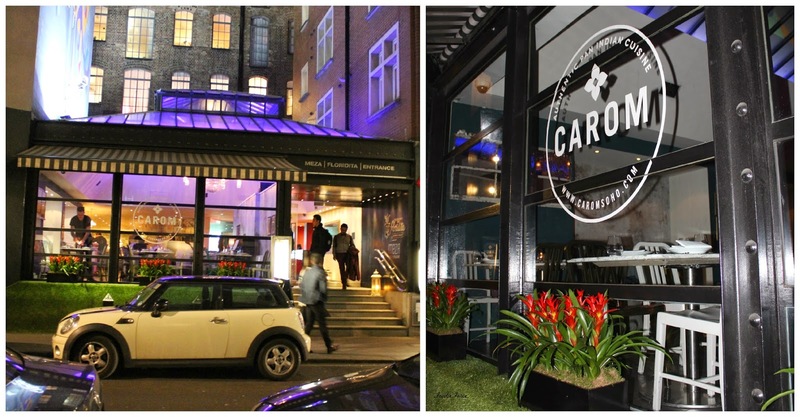 When I was invited to visit Carom restaurant in Soho, I was a little apprehensive, as it presents itself as a pan Indian restaurant serving modern authentic Indian cooking but I was interested to find out whether it would live up to it. Coming off a busy Soho street we entered the restaurant to find a cool and relaxed industrial space that has lofty ceilings and a bar that takes centre stage. The cocktail list is extensive, so picking was quite the challenge, but the helpful bar staff were on hand to guide us through the menu. 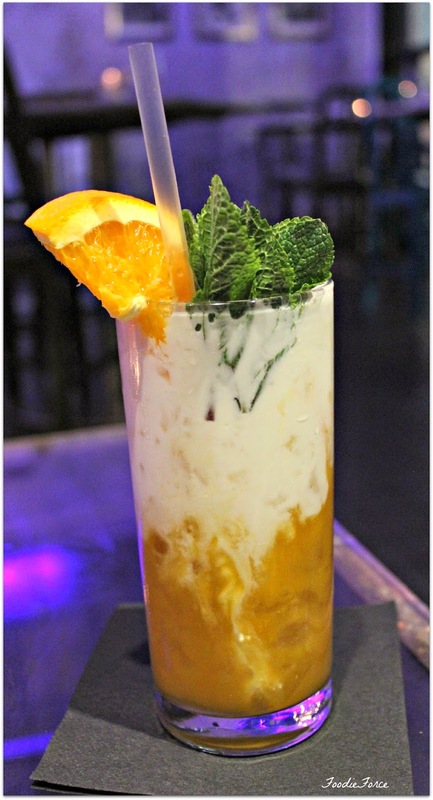 We opt for a Brazilian Swizzle (£9.50) - Abelha Cachaca with passion fruit, lime, honey, Falernum liqueur and ginger syrup, which arrives at the table theatrically. I am in need of something refreshing having been on a hot and packed tube, I opt for a Carom Mango Lassi (£5), served with yoghurt and fresh mango. An authentic Indian restaurant should be able to make a wonderful Lassi and Carom doesn't disappoint. What a stunning looking drink, it tasted as beautiful as it looked. We had plans with friends so we knew we only had time to have a few cocktails and snacks from the bar menu. 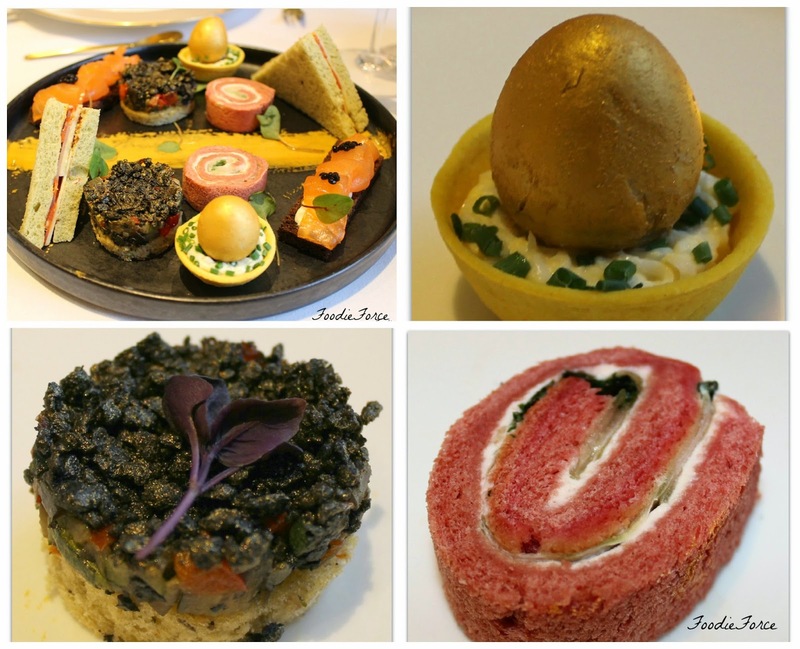 The menu has eleven options for food which are all served as small platters. We start with poppadom crackers with a trio of three chutneys (£2.75). 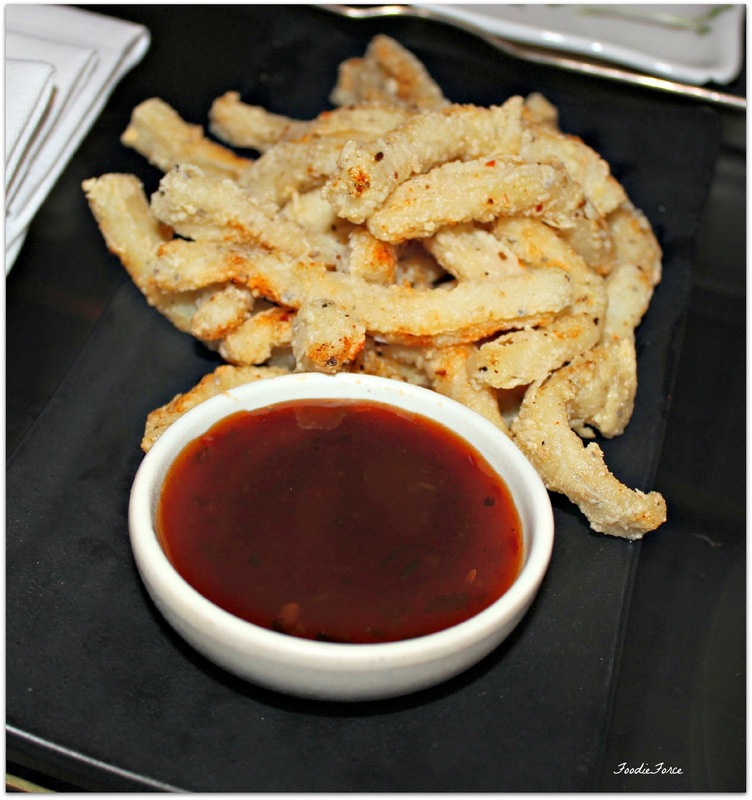 We then move onto Chilli Squid, with spice mix and chilli coriander dip (£5.95). Now I should be honest that I am not a huge fan of Squid mainly because I often find it chewy and not very well cooked. The Squid was perfectly cooked, it melted in your mouth on eating. I personally would have ramped up the Chilli and added some lime, buts that's my personal taste. Next up was chicken Lollipop winglets, yoghurt and Goan dip (£6). The chicken had a wonderful smoky taste and the Goan dip was a good accompaniment. Last but not least was Potli's vegetable parcels, served with Tamarind chutney (£3.90). The vegetable filling was delicious and the addition of the Tamarind chutney worked well. But for me there was too much pastry which dominated the plate. They would have been better half the size or served as circular parcels. Carom restaurant and bar had a really nice and relaxing atmosphere with lots of work colleagues sharing cocktails after work. 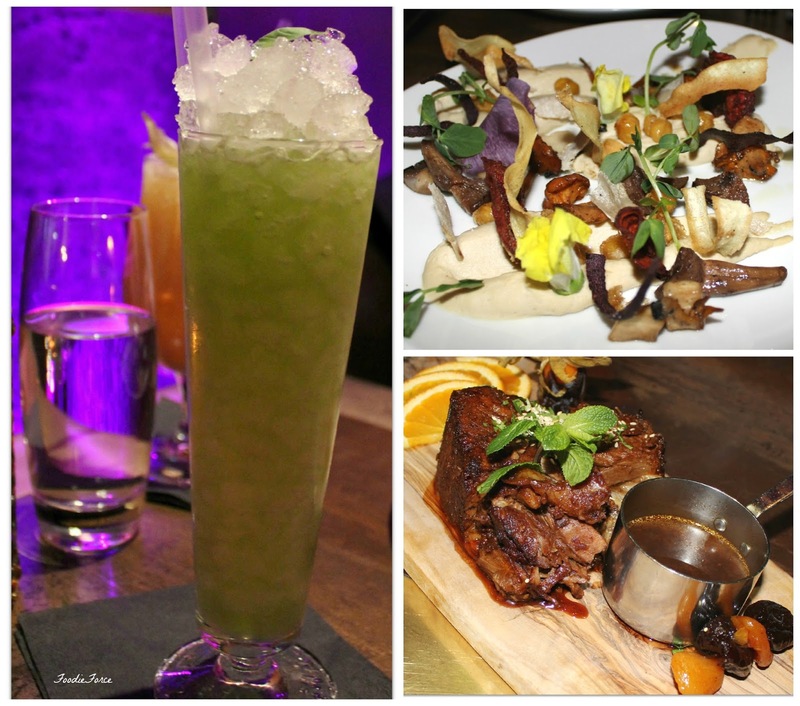 Now that we have had a taster for their bar food, it has peaked our interest for their main restaurant and I will definitely be popping back to try out some of their main restaurant dishes. 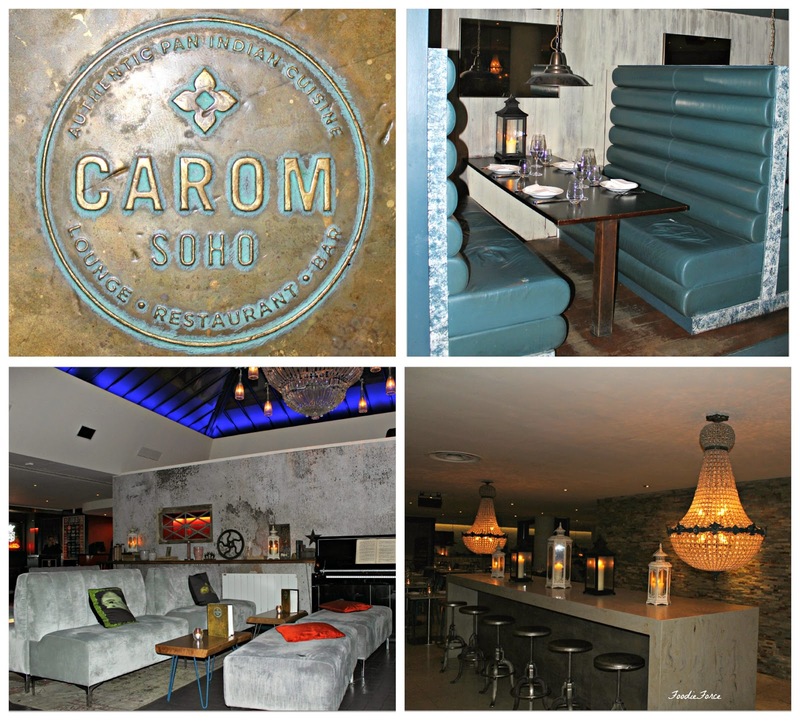 Thank you very much to Carom for the wonderful cocktails and bar snacks. Our cocktails and food was complimentary for the purposes of a review, but this is is a true and fair reflection of our experience. 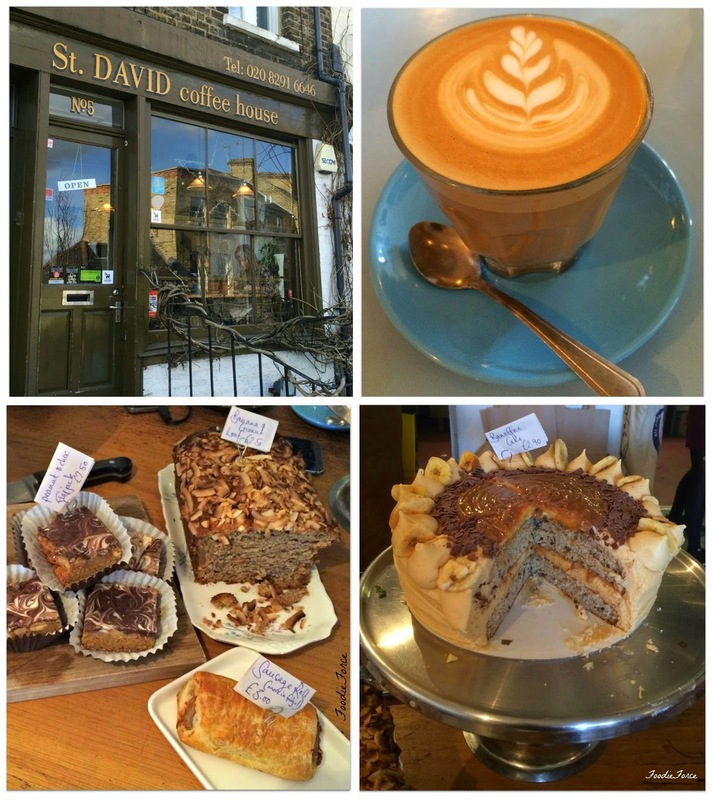 One of the challenges of eating in London is that with so many restaurants sometimes finding an authentic one that serves traditional food can be difficult. Mamounia Lounge in Mayfair offers guests an Arabic experience featuring the very best of Lebanese and Moroccan cuisines. But what I was more interested to find out was how authentic the experience would be, you see I have had some wonderful holidays in Arabia and Morocco. I hoped that Mamounia would be able to transport me back there to an electric vibe and superb food. Well first impressions are favourable with authentic interior and traditional Middle Eastern music playing. 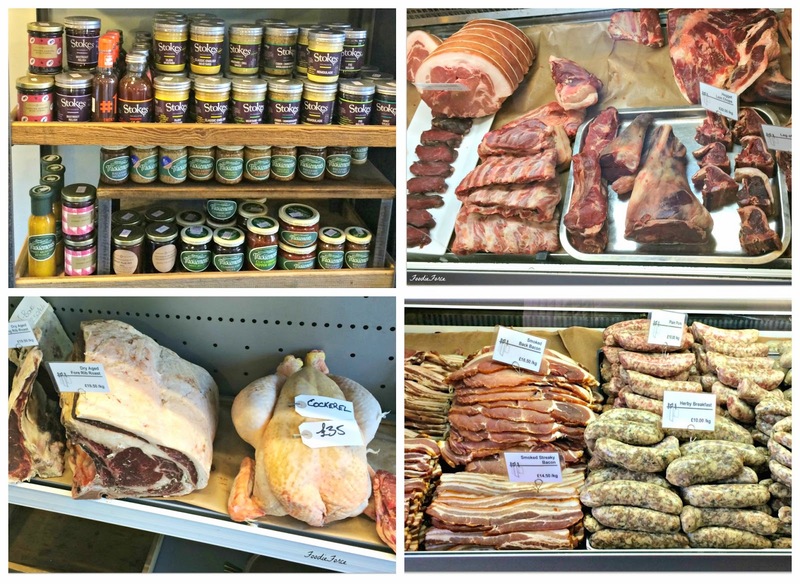 The year long refurbishment has been well worth the wait. We start our meal with two cocktails. 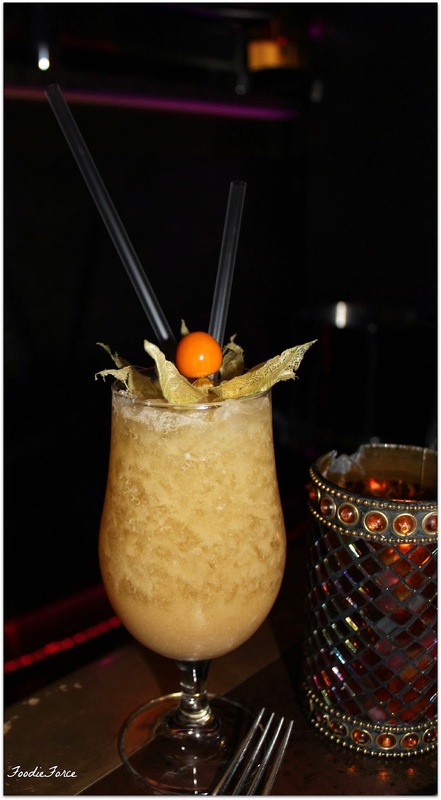 I opt for the Mamounia Special, fresh basil, Stoli vanilla vodka, lime juice, sugar syrup, served over crushed ice (£8). My companion loves rum so opts for the Prince of Sahara, fresh pineapple and banana shaken with Flor de Cana, Amaretto and served over crushed ice (£8.50). The serving of the food in the restaurant is banquet style with guest being able to pick Mezze dishes to share. 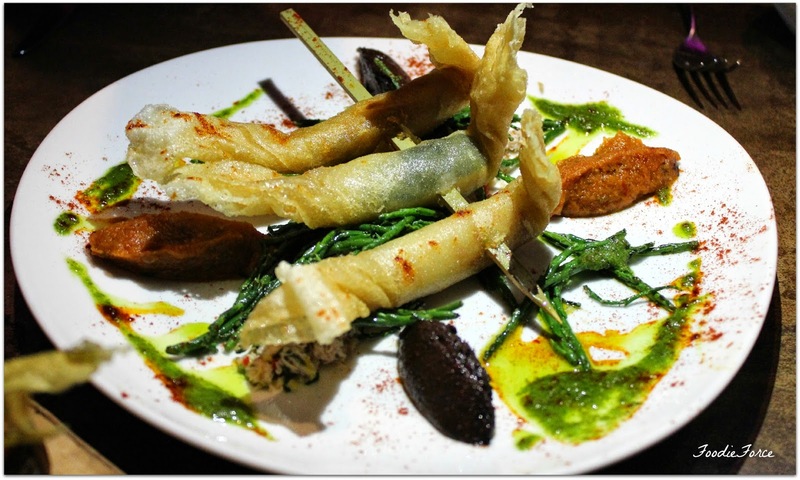 I have some firm Mezze favourites and a cursory glance of the menu I am pleased to spot some of these on the menu. 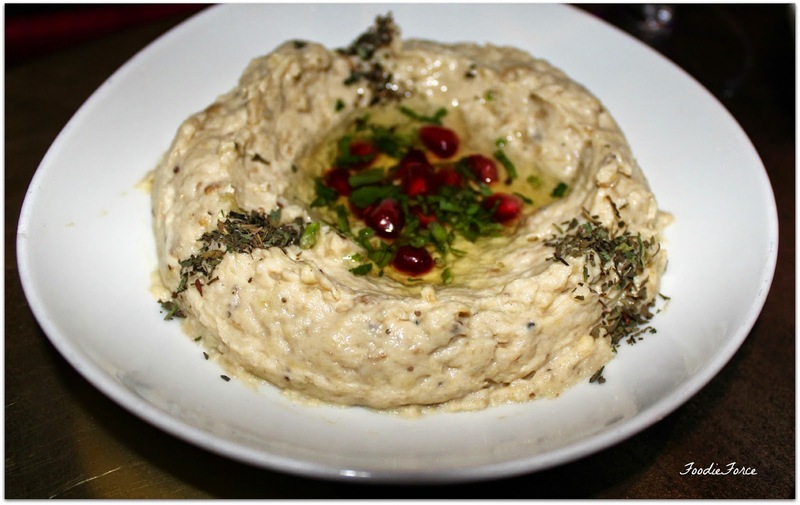 Moutabel, smoked Aubergine puree with tahini, garlic and lemon juice. Topped with pomegranate seeds (£6.50). Halloumi Cheese, Lebanese cheese grilled sprinkle with sesame seeds (£7.00). 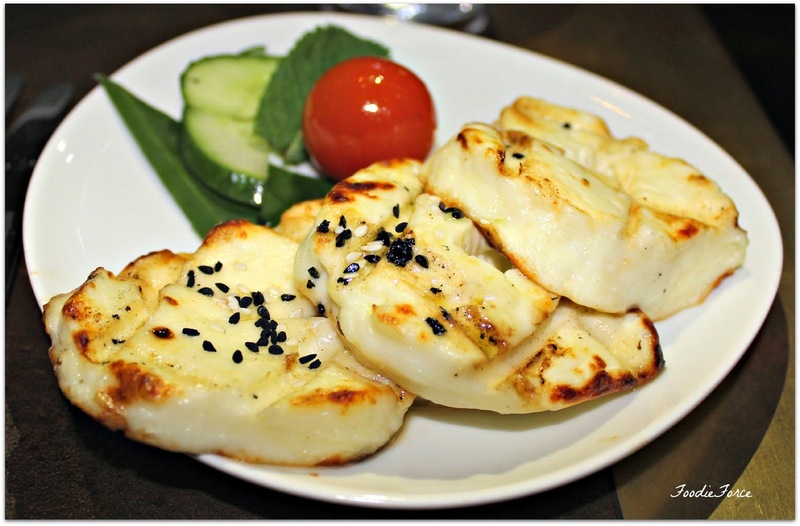 Although very naughty I really love halloumi, I especially enjoyed the thickness and the addition of sesame seeds. Truffle Hommus, creamy pureed chickpeas whipped with tahini, truffle oil and lemon juice. 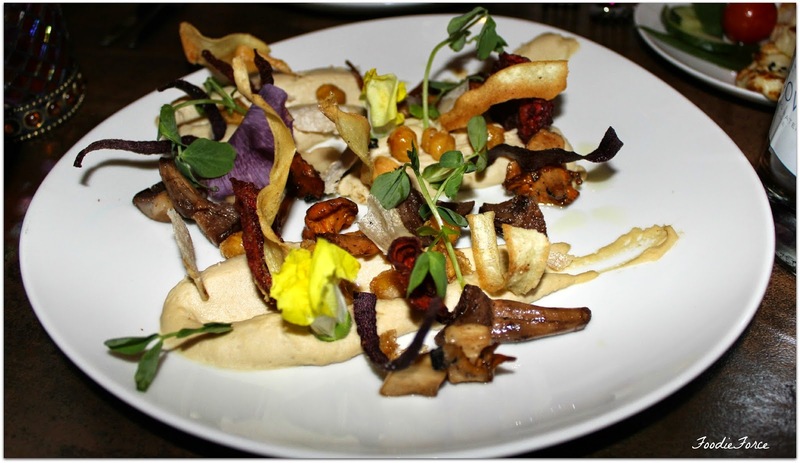 Served with fresh truffles, wild mushrooms, crispy chickpeas and warm homemade Pita Bread (£11.00). I seriously will be dreaming about this dish for a while both the presentation and taste of the truffle oil was amazing. The dish was beautiful and a true feast for the eyes. Now our waiter suggested a dish that I wouldn't have picked myself but was superb. Lentil salad, lentils du puy cooked with chicken stock, deep fried halloumi cheese and toasted anis bread (£9.00). 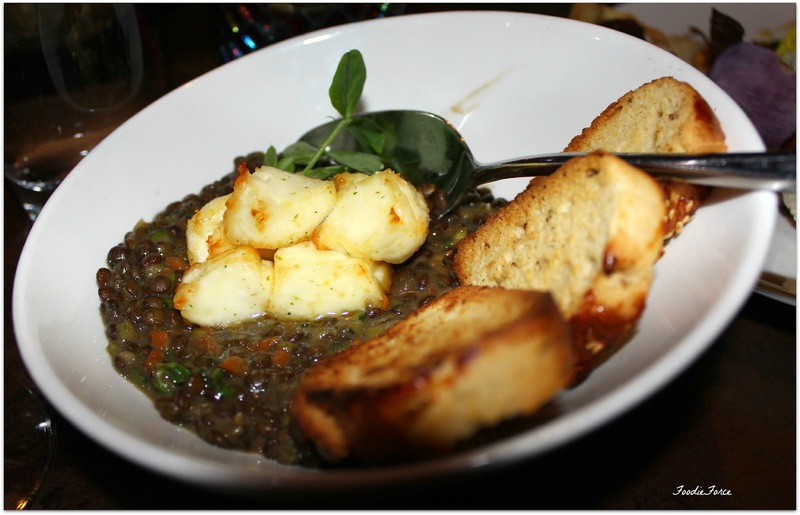 This was an excellent choice the flavours in the lentils was delicious and the addition of the bread with an aniseed taste was a great combination. 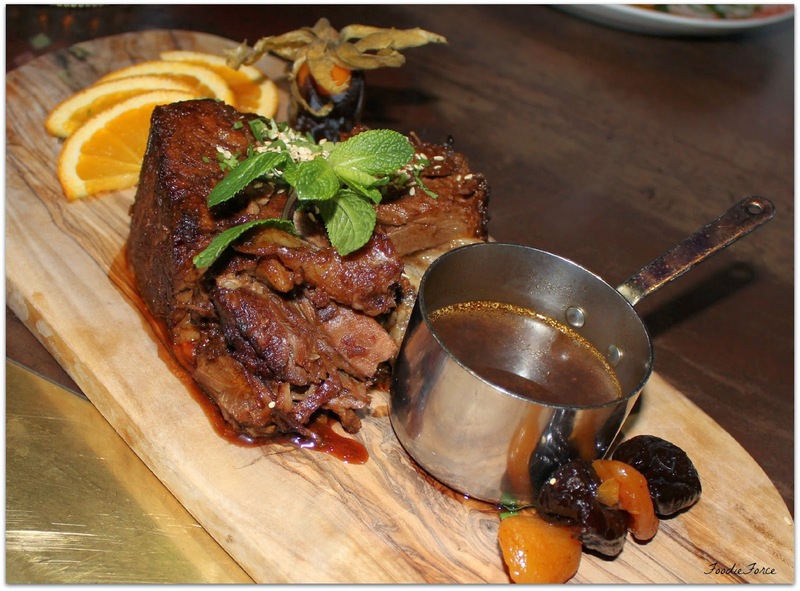 Mains are consistent with the Middle Eastern fare, tagines, clay pots, grilled and charcoaled meats, fish and couscous. My dining companion chooses the langoustine and crab, a selection of three types of marinated langoustines (Basil, Chermoula, and Chilli) served with crab meat, rocket pesto and tapenade (£21.00). Now whilst this was delicious the batter contained on the fish in my companions eyes was not needed. It detracted from the wonderful beauty of the dish and the full flavour of the fish. That said it was devoured in no time. I found picking a main a challenge, the restaurant had lots of food that I would have loved to try. After deliberating the waiter suggests the Meshoui, traditional shoulder of lamb, slowly roasted for eight hours, marinated in Moroccan spices and served with fresh Dates, Orange and apricots Bouillon (£15.00). Now the picture above cannot do this dish justice. 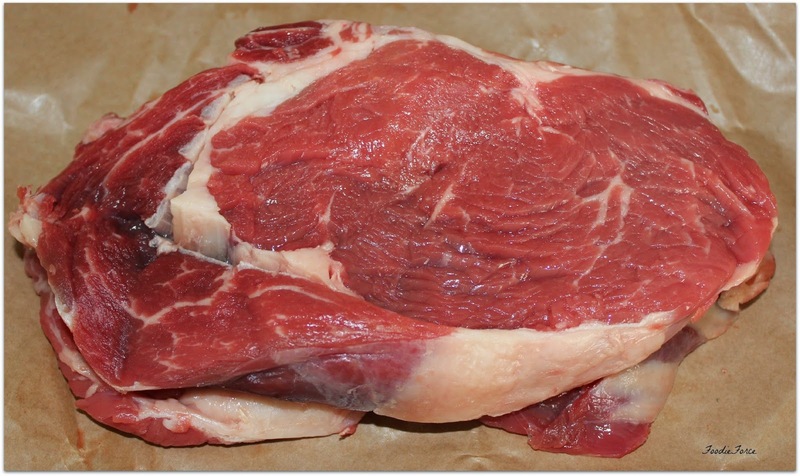 The lamb melted in the mouth and the spices that it had been marinated in a perfect accompaniment. I liked that you had the traditional Bouillon to pour over or the addition of orange for a more citrus zing. 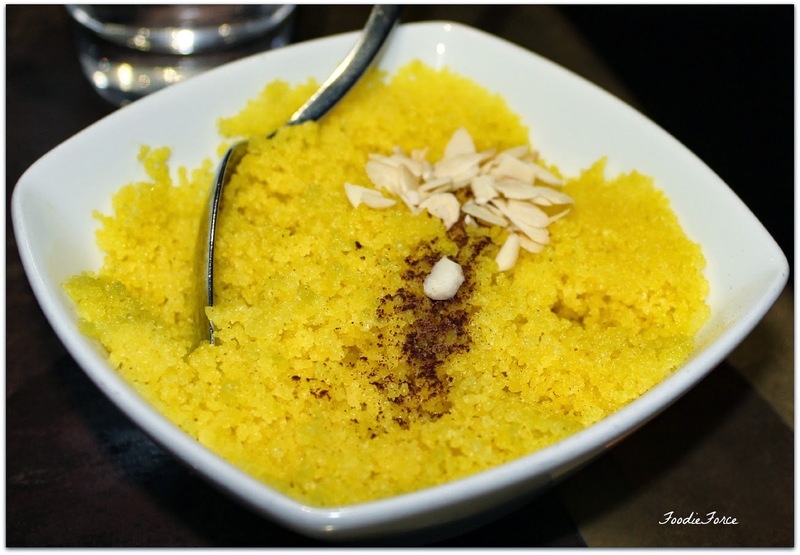 To accompany my dish I decided on couscous which is a great pairing, the addition of almonds and spicy nutmeg is delicious. Now at this point my expanding waistline is seriously beginning to grumble. But Mamounia really is my perfect home they have consider everything. On the menu they have two desserts that take over fifteen minutes to cook from scratch, leaving the perfect resting time. 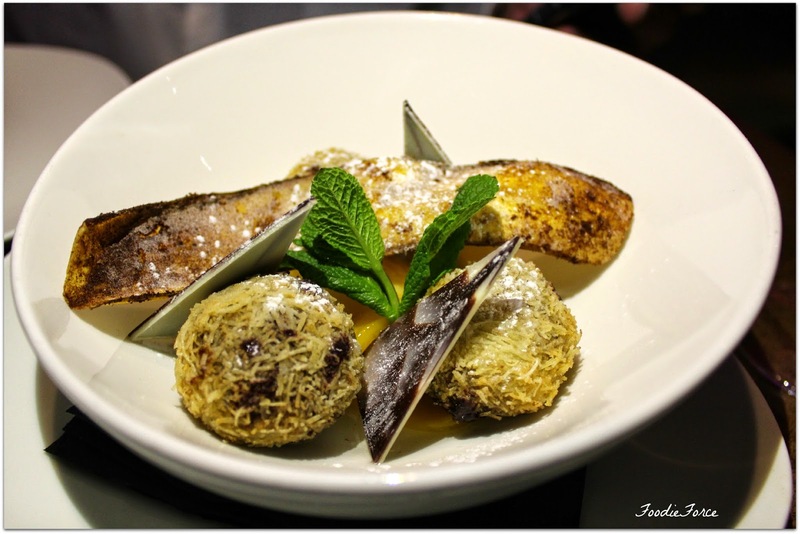 Crispy chocolate served with a carpaccio of mango and pineapple (£8.00). It is not possible to do this dessert justice so I will leave you with the picture below so you get the idea. If I thought the meals were delicious Mamounia can seriously do desserts too. Continuing with the chocolate theme. 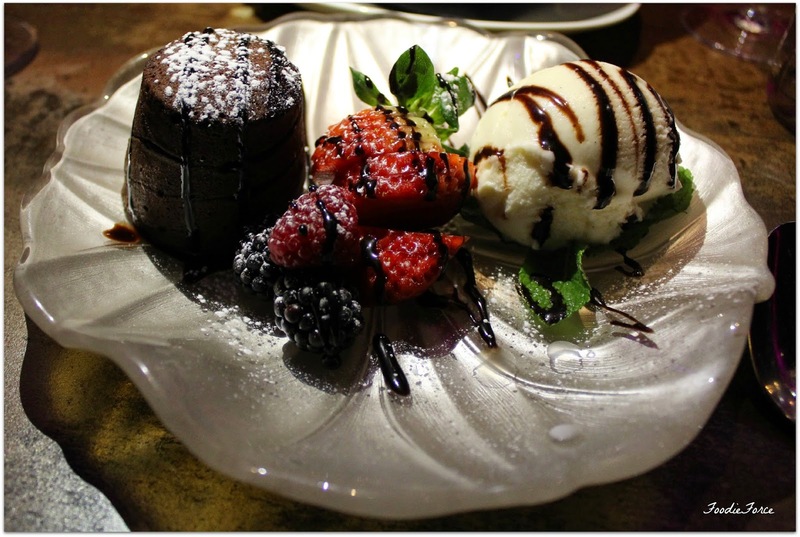 Homemade chocolate fondant served with vanilla ice cream (£9.50). 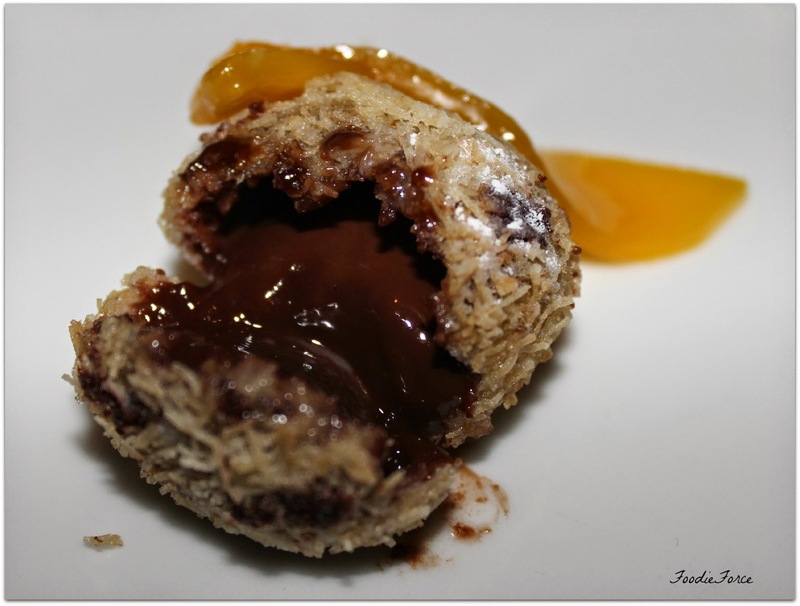 The exterior firmness of the dessert gave way to perfectly runny molten chocolate. A wonderful way to finish off a brilliant meal. 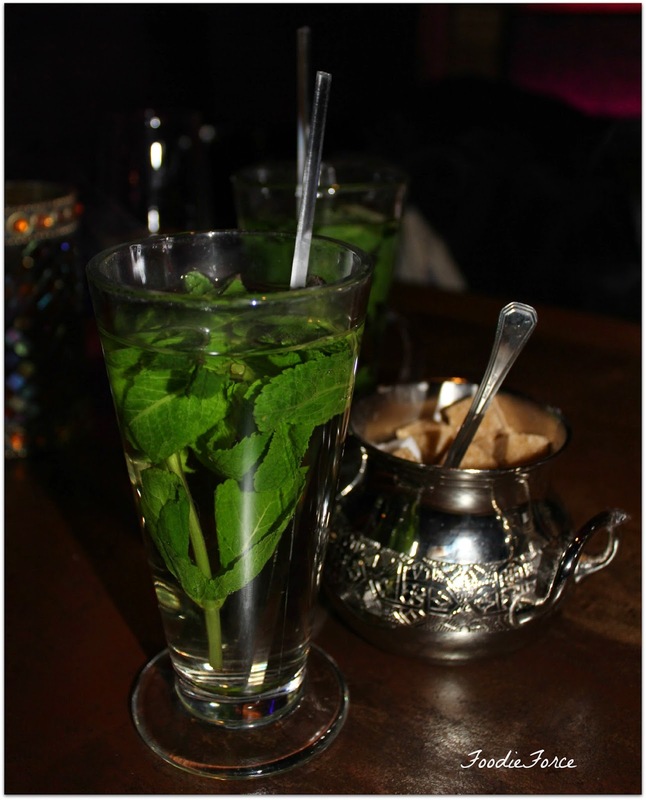 Mamounia Lounge is a wonderful authentic Middle Eastern find. The food cooked with flare and service throughout the meal was impeccable. With restaurants in Mayfair and Knightsbridge I am already looking forward to going back and being transported to my Moroccan hideaway. Thank you very much to Mamounia Lounge for a wonderful meal. Our meal was complimentary for the purposes of a review, but this is is a truly wonderful restaurant and a fair reflection of our meal. 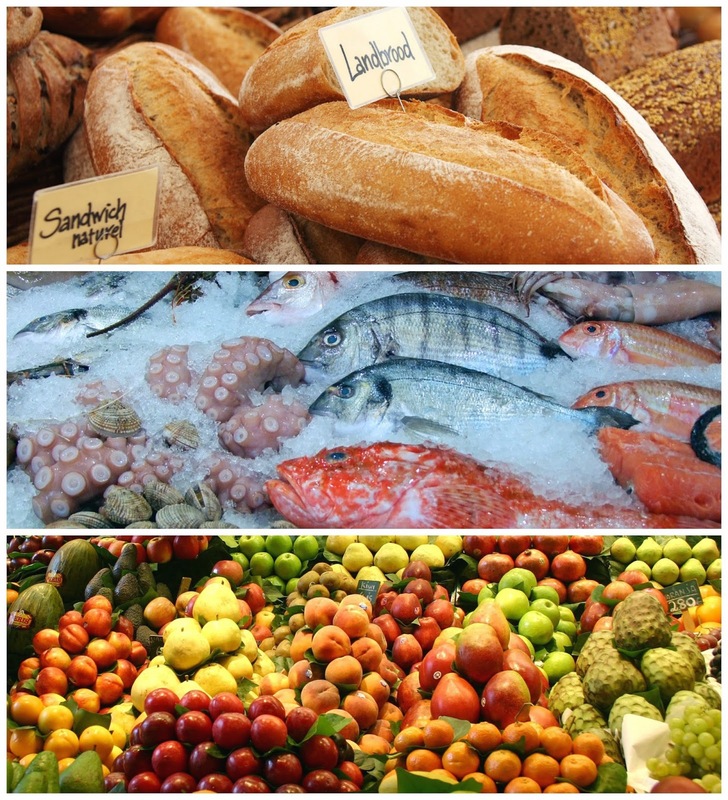 Which restaurants take you back to a previous holiday? 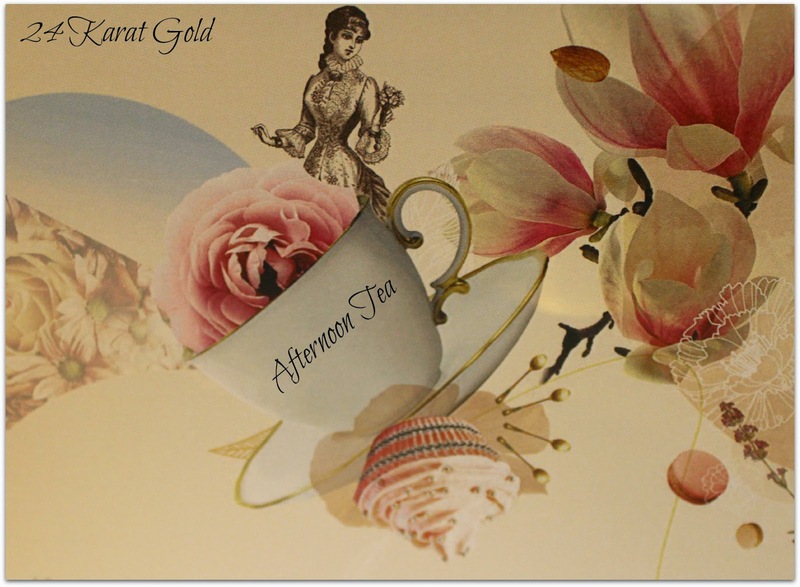 Afternoon tea is my guilty pleasure, but when you add 24-karat gold into the mix it certainly becomes a more opulent indulgence. 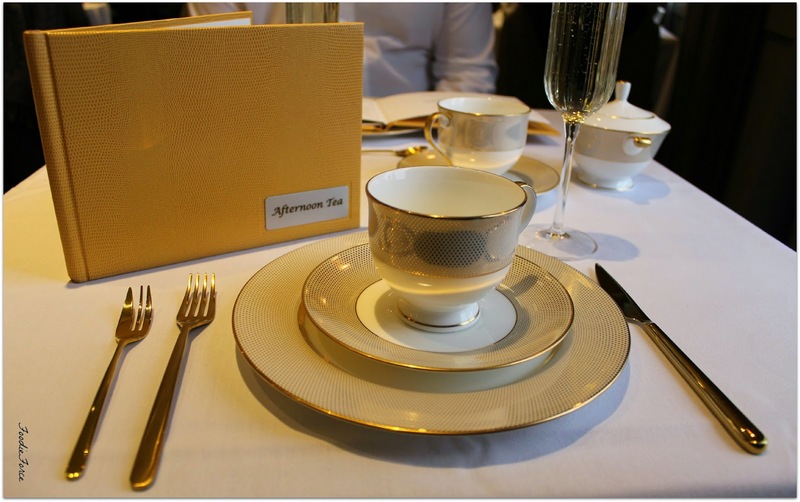 So when I heard that St James Court Hotel London had broken with tradition and created a decadent afternoon tea, inspired by Luxor Pure Gold 24K Brut Champagne I couldn't wait to give it a try. The hotel grounds are a beautiful oasis of calm from the hustle and bustle of London. Walking in you can instantly feel yourself relax. The hotels afternoon tea is served in the Kona restaurant which carries on the comfort and cosiness with luxurious and indulgent furnishings. Sinking into my lovely cosy chair, I begin to feel the busy working week melt away. 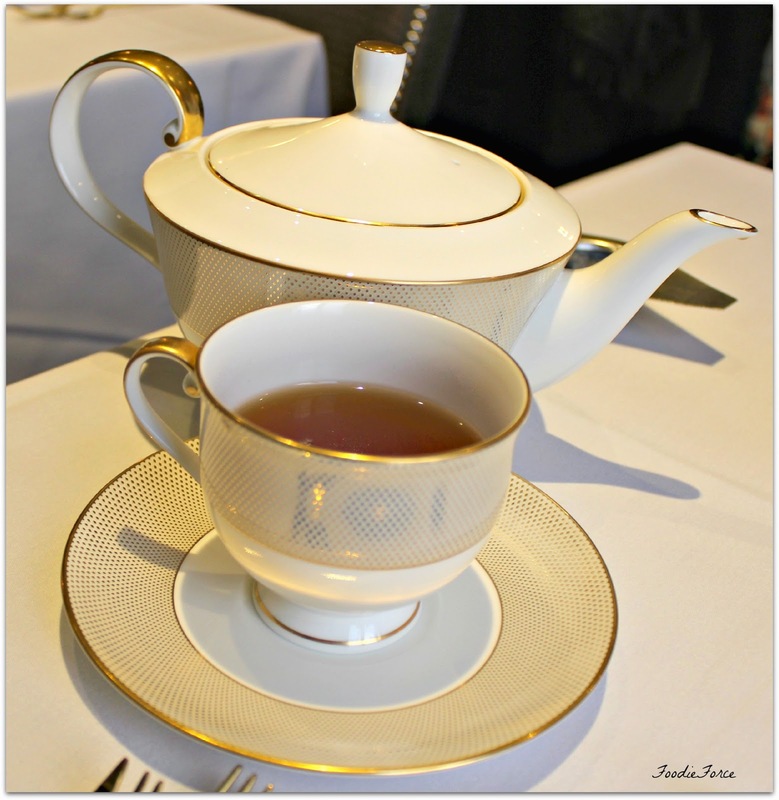 The best afternoon teas begin with a lovely glass of champagne and this afternoon tea is no exception. Well maybe it is, guests have the choice of Laurent-Perrier Vintage 2004 (£15 a glass) or half a bottle of Luxor gold leaf champagne (£85). Yes it really does have gold leaf in the champagne, you can't taste the gold but it does give off a wonderful shimmer in a glass whilst you drink it. The continuation of the gold theme runs to the cutlery and plates which is a lovely touch. 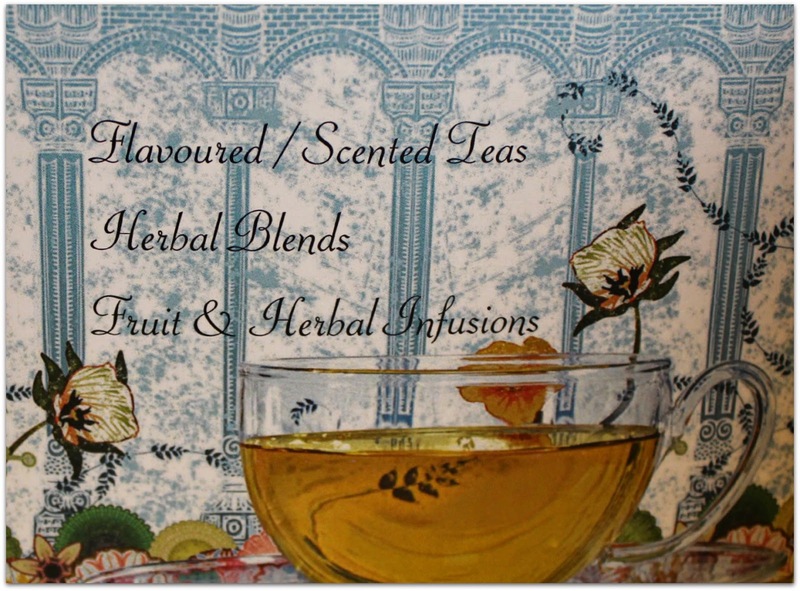 We happily peruse the menu for our tea selection to accompany our afternoon delights. We opt for Earl Grey Blue Flower, Bergamot flavoured black tea and cornflowers. Our second choice is Jasmine Chung Feng organic green tea. There is something really refreshing about Jasmine tea. I can happily drink a whole pot. 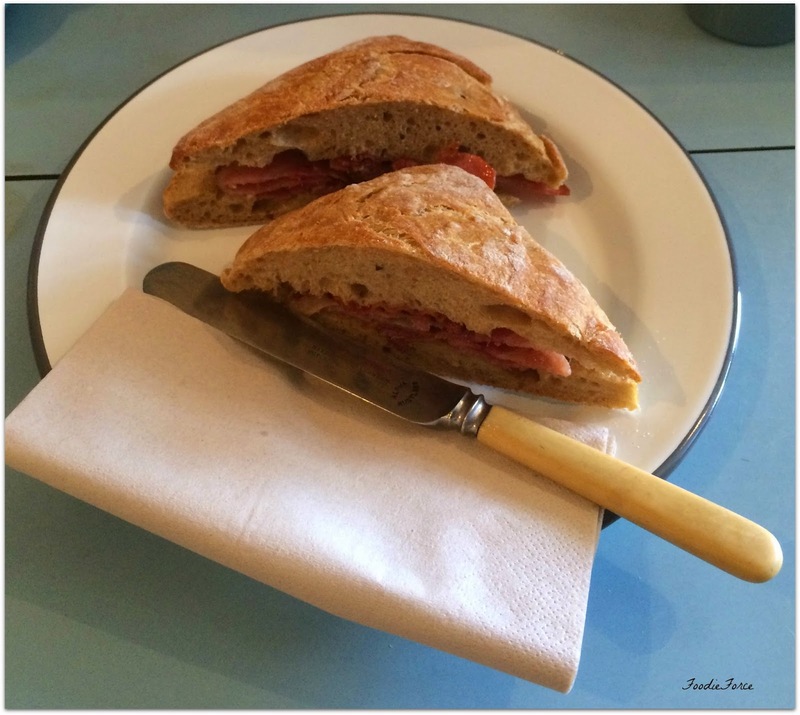 When the sandwiches arrive we just sit in silence to admire the beautiful presentation. 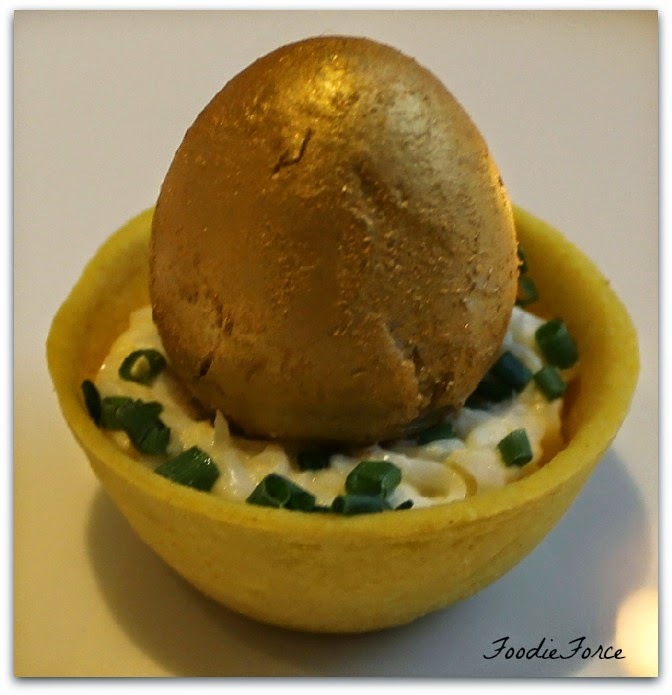 How gorgeous is the golden quail's egg and free range egg mayonnaise. Highlights for me had to be the 24 month aged Prestige Comte cheese and chorizo. Smoked salmon, caviar and mascarpone. Service until this point was acceptable but it seriously took a nose dive from this point on and became a comedy of errors. When we were part way through our sandwiches the waiter asked if my other half would like a refreshed pot of tea. Swiftly removing the pot and milk from the table little did we know that he wouldn't be back. No seriously over twenty minutes later and we are still without tea, in the end we had to ask someone else. This became a common theme. The waiter kindly comes and replaces the tea without an offer of any milk. Oh and then decides to pour Earl Grey in my jasmine tea and then proceeds to spill some on my handbag and doesn't even wipe it up. Are you kidding me. No I am serious. We decide to turn our attention to the beautiful pastries. 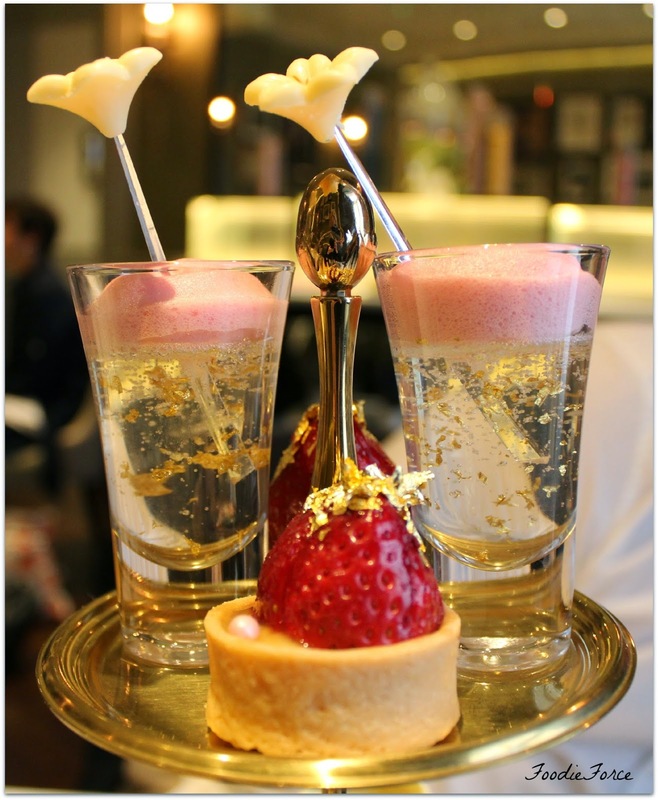 The Champagne and gold leaf jelly was amazing in taste, with the addition of the strawberry foam it was definitely my favourite. 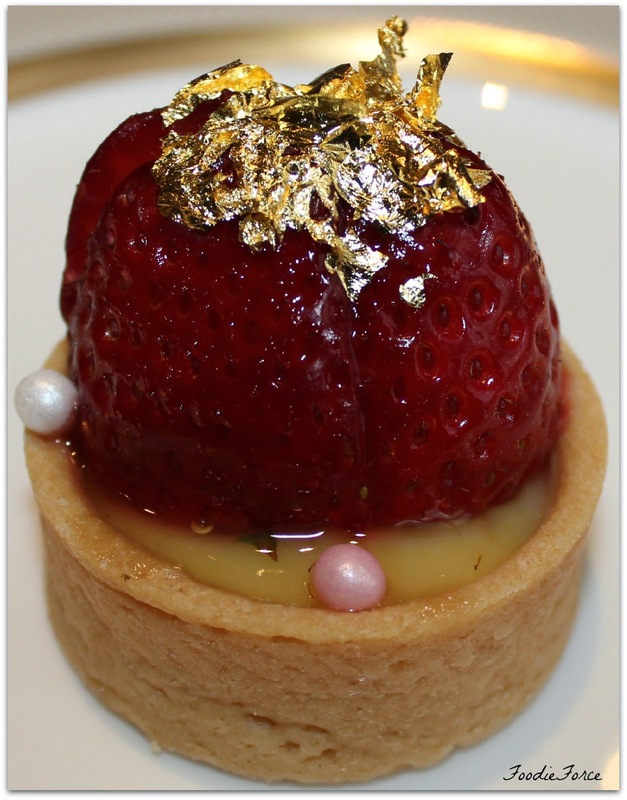 Pastry Chef Nikhil Vyas has worked his magic to create a foodies delight of edible gold. 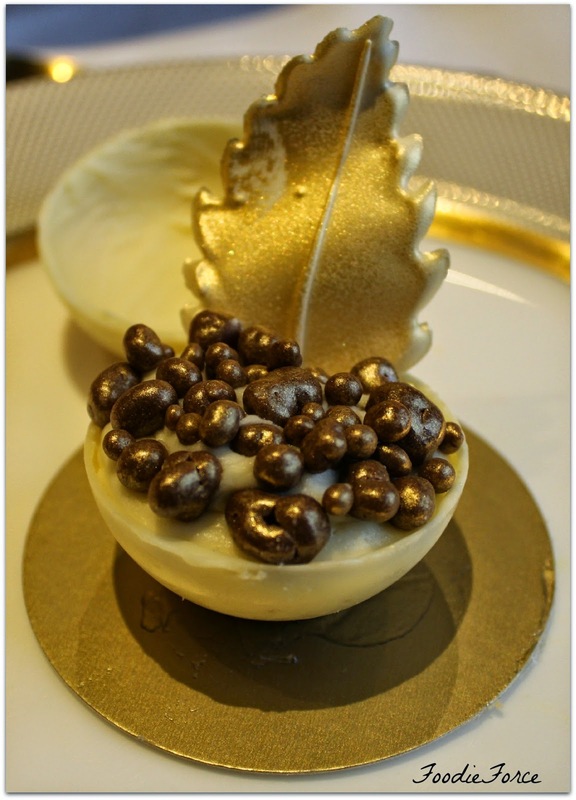 White chocolate delight with gold leaves. Oh this was good, sweet, chocolatey and with hidden popping candy. Nikhil is seriously very talented. 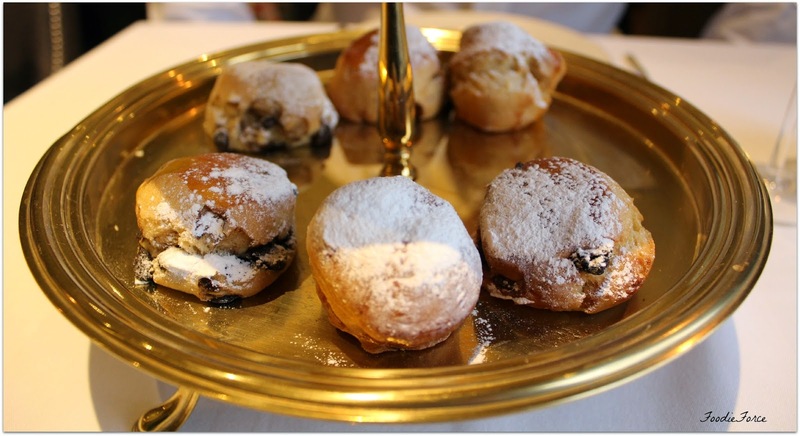 The variety in the pastries is the best I have experienced and I have eaten my fair share of afternoon teas. We had two types of scones served with the afternoon tea: plain and raised scones. The scones are meant to be served with clotted cream and jam. Yes you guessed, our cream and jam is no where to be seen. There is also no waiter to be seen. I kid you not we waited thirty minutes chatting with a lovely mum and daughter next to us from Chicago. Still no one. Now what follows is a first we have to physically get up and go looking for a waiter. The service was beyond appalling and what is sad is the food served was superb. Hopefully the above was just an off day. Despite the hiccups we had a lovely time. 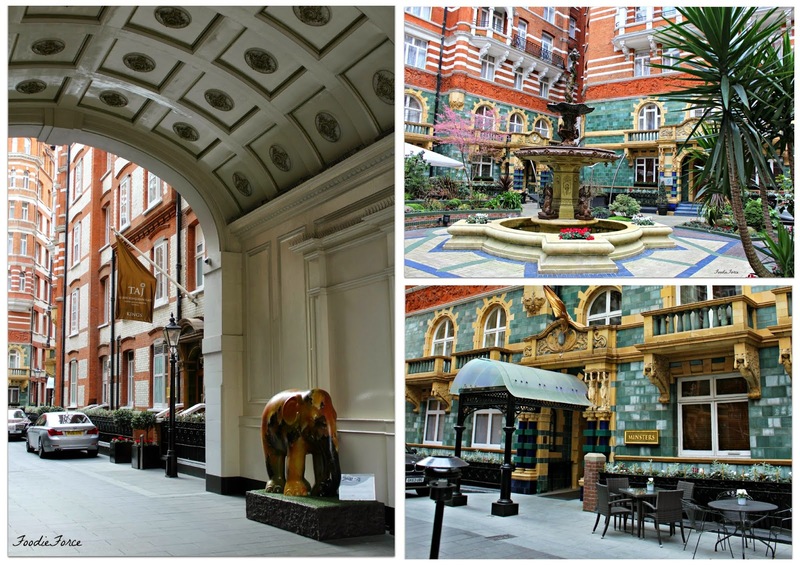 One thing to share about the hotel is how it is perfectly located between Buckingham Palace and the Houses of Parliament. 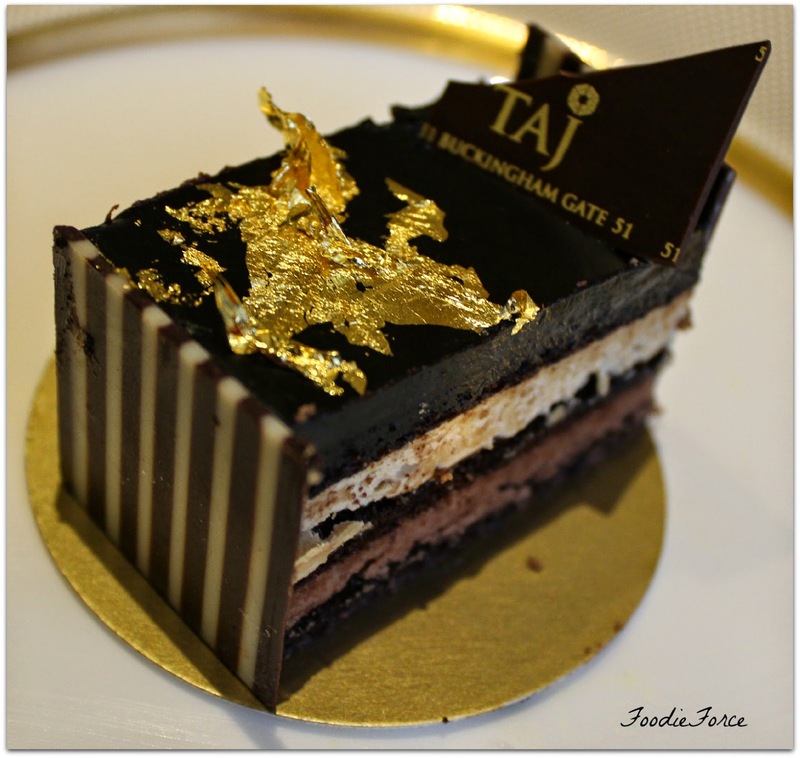 If you fancy living like a queen, quote "What's Cooking at Taj" to receive 24% off their afternoon tea. Guests are requested to make bookings 24 hours in advance. 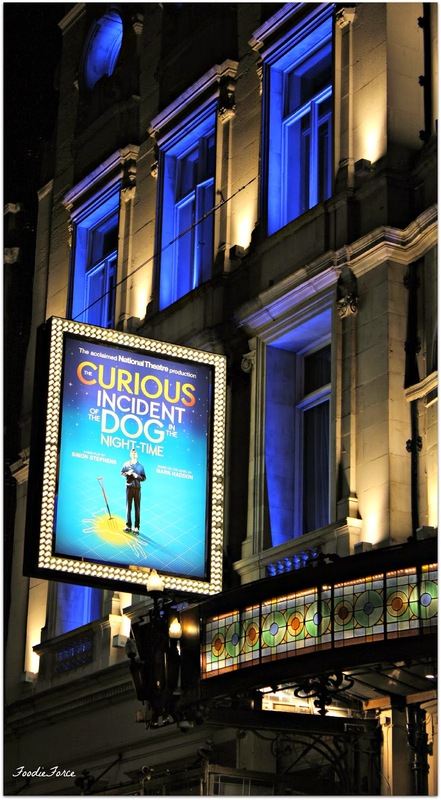 To take advantage of being in town and to finish off a lovely day, we headed to the theatre district to see "Curious Incident of the Dog in the Night-Time". I would highly recommend seeing this theatre show if you enjoyed reading the book. 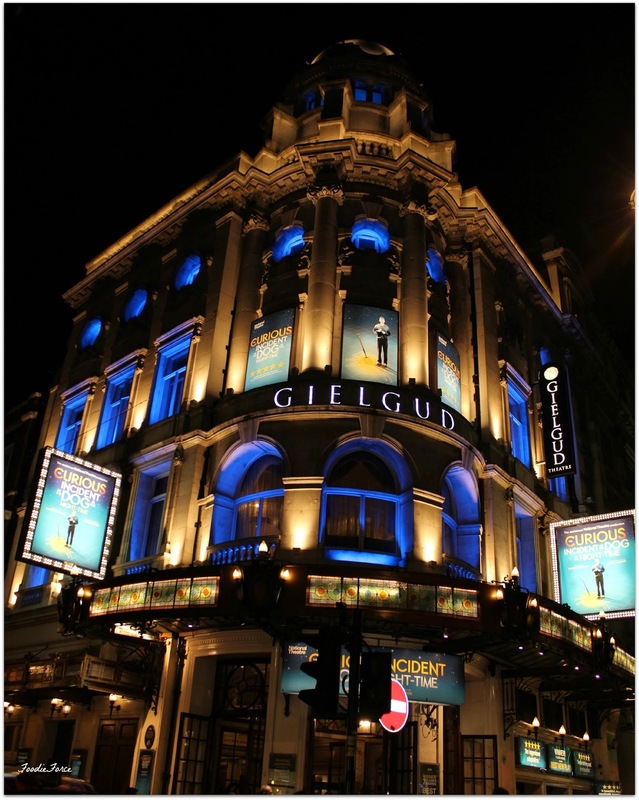 The staging is superb and very entertaining. What is the worst service you have every had? Share your stories? Thank you very much to St James Hotel and Zomato for a tasty afternoon tea. Our afternoon tea was complimentary for the purposes of a review, but this is an honest and fair reflection of the restaurant and our experience.